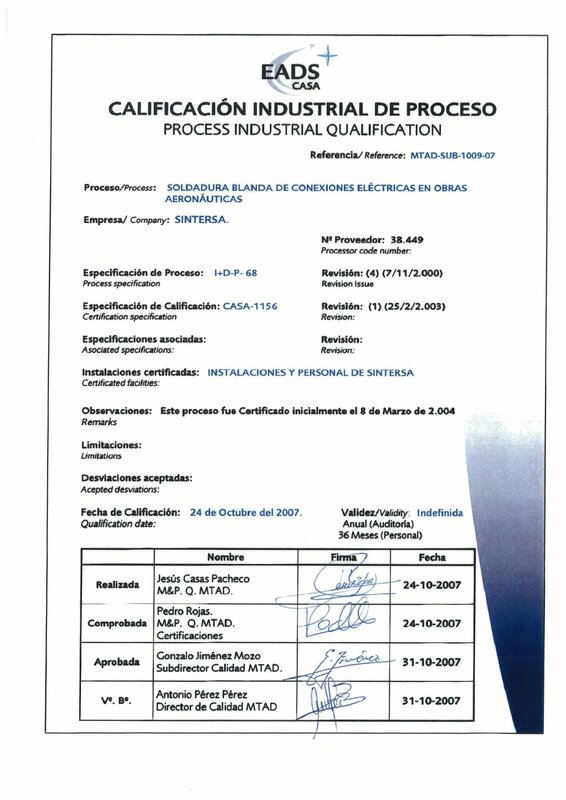 PECAL/AQAP 2110 NATO requirements of quality standards for design, development and production. General Registration of Weapons and Material (D.G.A.M.) of the Spanish Ministry of Defense. First Spanish company which obtains the Airbus Military approval of Safeguarding Quality documentation. Procurement and shipping materials to be assemble streight into the aircraft. 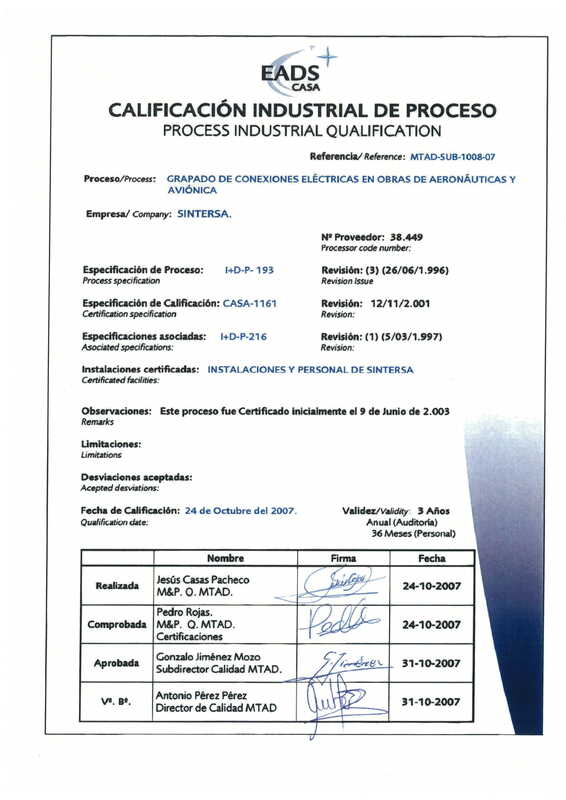 First spanish company Certify by Airbus Military in the special processes of crimping and welding of electrical connections and over braiding for cables assembling.